Before being born Li Zheng (Chiu Prince) and Shao Xi (Tseng Joanne) were promised to marry each other. Li Zheng leaves for Japan after the death of his parents. Now he returns to Taiwan and moves in to Shao Xi’s house. Despite the two having completely different personalities they soon become friends and perhaps something more. It has been a long time since I have waited to watch a Taiwanese drama. Attention, Love! doesn’t have the slowness or horrible plot like some of the Taiwanese dramas that I’ve been unfortunate enough to try to watch. Attention, Love! is a fresh, interesting and sweet drama that has its hooks deep inside me. Zhong Shao Zi is a laid back student who cares more about running and her friends than studying. She has earned the nickname Brother Zhong from her fellow school mates and is known as the feared leader of her school. Beneath her rough words and actions she is a teenage girl just like anyone else. She’s silly and caring towards everyone (who doesn’t bother her or her friends). If someone gets in her way she doesn’t hesitate to fight back verbally or physically. 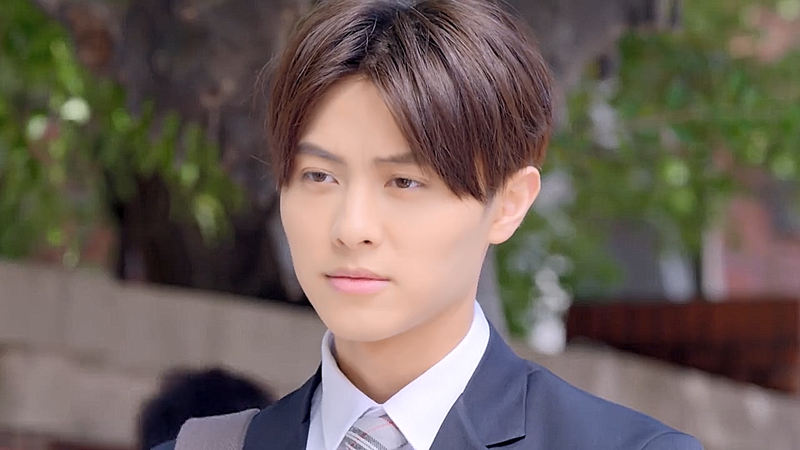 Yan Li Zheng is a smart (top student level smart) and good-looking student. After the passing of his parents he hates receiving sympathy or sad, sympathetic looks from people. He’s deadpan and straight-faced and that exterior often comes of as him being cold. After accepting Shao Xi she becomes the first one to manage to break through his armor of protection against the world. Shao Xi becomes the only person Li Zheng cares about: his only family and the only person he considers to be his friend. Look at those cold, unhesitant eyes. Like Shao Xi Li Zheng is protective towards his friend, aka Shao Xi. He protects her behind the scenes. For example, he makes sure that no one is bothering her or making her cry. The only one who dared to bully her was quickly taken care of by him and made to leave the entire school. He cares for her deeply in his way. Behind the now slipping mask of a top student and nice guy, Li Zheng has very similar features to Shao Xi. They both have a “scary” side to them. Shao Xi can hold her own but Li Zheng’s “scary side”, is more hidden behind his intelligence. If you’ve seen Cheese in the Trap and Playful Kiss you’ll understand this: he’s a mixture of Yoo Jung sunbae and Baek Seung Jo. He seems to be as expressive around people (except around Shao Xi) as Baek Seung Jo and behind the scenes he has the same intelligence (or manipulative nature, which ever you want to call it) and if the situation requires it, violent nature as Yoo Jung sunbae. His character is not as simple as he makes it seem to be at the first sight of him. He has many sides to him and I hope that the drama will continue to explore them more. Shao Xi’s grandfather’s dying wish was for the two to get married to each other. Thus her father has been protecting her from boys since birth as she is -at least in his eyes- an engaged woman. 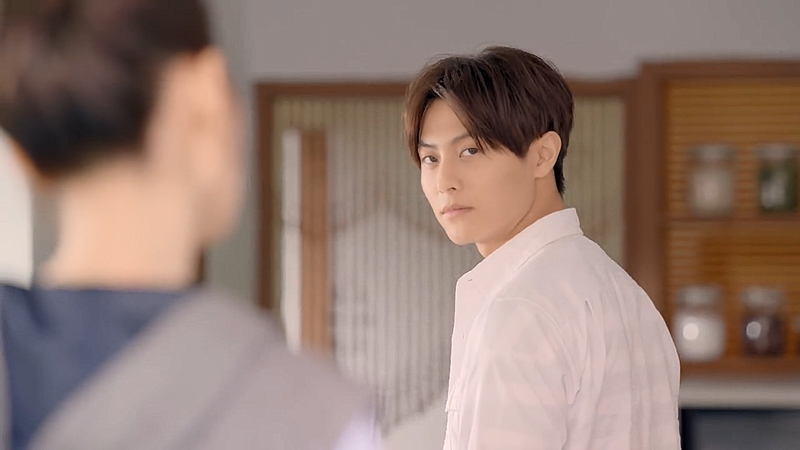 After Li Zheng moves in to her house she quickly falls for him. Despite this the cutest thing about this couple is their friendship. Shao Xi doesn’t want to see Li Zheng alone so she chooses to be his friend and stays by him. Li Zheng doesn’t want her around other men and makes sure that she stays around him. It’s obvious to the watcher that the two are very close: they talk about everything to each other. Their life, feelings or just what has happened. They’re each other friend, family and lover. One more thing that pops out in this drama is the amazing and hilarious parents Shao Xi has. Her father may look like a gangster but in reality he’s crazy about his daughter and wife. Shao Xi’s mother looks like a mistress to her gangster husband. They’re both good people who love their family and friends but are not afraid to be openly their unique selves. To summarize, Attention, Love! is an addicting drama that will charm you with its warm, sweet and unique characters! Don’t wait, watch it now! Read my Review for the drama here!